This past week I had the good fortune of seeing the Aardvark Jazz Orchestra at Scullers Jazz Club. One of the longest running large jazz ensembles in North America, the Aardvark Jazz Orchestra is a jazz big band lead by trumpeter-bandleader Mark Harvey. This concert featured works of guitarist Richard Nelson's latest CD featuring the Aardvark Jazz Orchestra, Deep River. In addition to premiering new works, this orchestra has been a major force in preserving the great compositions of Duke Ellington and Billy Strayhorn, among other composers. Inspired by the concert, I wanted to shed light on the big band legacy by sharing five famous jazz orchestras. Pianist-composer Duke Ellington led one of the most preeminent jazz orchestras for over fifty years, featuring the talent of Clark Terry, Johnny Hodges, Harry Carney, Cootie Williams and Paul Gonsalves, among others. Pianist-composer-arranger Billy Strayhorn collaborated with Duke Ellington to write such standards as "Chelsea Bridge," "Lush Life," and "Take The A Train." 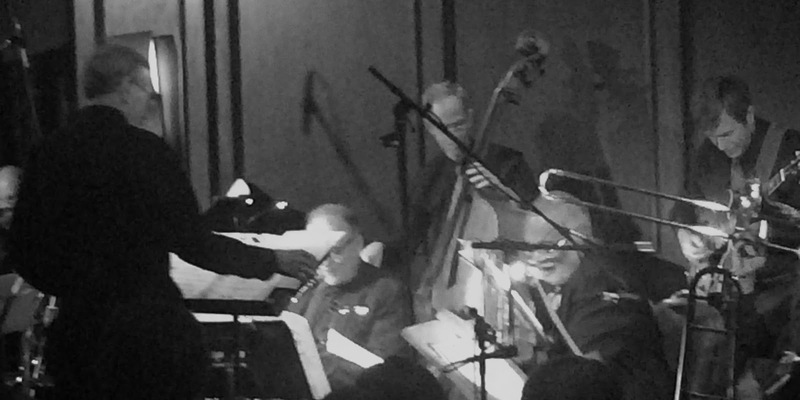 Throughout the span of the concert, the Aardvark Jazz Orchestra played numerous compositions by Duke Ellington and Billy Strayhorn, including "Chelsea Bridge," "Tell Me It's The Truth" and "Portrait of Mahalia Jackson." The two latter compositions come from Ellington's Sacred Concerts and his New Orleans Suite respectively. By presenting Ellington/ Strayhorn compositions, the orchestra was able to mold the colors and textures of their music into the unique solo voices found in the band. The Aardvark Jazz Orchestra played Ellington's compositions as the Boston Symphony would play the works of Beethoven - with meticulous attention to detail as well as a joyful creative interpretation. Like Ellington, pianist-bandleader Count Basie led his own jazz orchestra for almost fifty years, featuring the talent of Lester Young, Harry 'Sweets' Eddison, Freddie Green, Buck Clayton and Herschel Evans, among others. Basie emphasized the role of the rhythm section keeping a consistent laid-back time while the horns utilized 'riffs', or short repeated lines, such as in Basie's theme song, "One O' Clock Jump." The influence of Count Basie could be seen throughout the concert in the numerous solos on such songs as Harvey's own "N.O.L.A," where the trombone mutes imitated the sounds of New Orleans streets with a buzzy, mellow tone. A trademark of Basie, the brass sections seemed to interweave with the winds, forming a sort of call and response. The Thad Jones/ Mel Lewis Jazz Orchestra was a big band led by trumpeter Thad Jones and drummer Mel Lewis. The band went through several reincarnations, shifting to the Mel Lewis Jazz Orchestra, and now the Vanguard Jazz Orchestra. This orchestra is known for having a unique style, blending big band with hard bop to make a small group sound within a large ensemble. The influence of Thad Jones/ Mel Lewis could be seen in the Aardvark Jazz Orchestra by their approach to solo sections. Each solo section sounded as if it was a jazz combo, with the level of communication between each instrument. These intensity levels between solos, solis and full ensemble sections helped build songs like "Second Line" and "St. James Infirmary." Clarinetist-bandleader Benny Goodman, "The King of Swing," led one of the most popular American groups of its time. Goodman broke barriers, and had one of the first integrated bands, featuring pianist Teddy Wilson. Also, Goodman's stature led him to a series of concerts at Carnegie Hall - cementing swing and big bands as both dance and concert music. 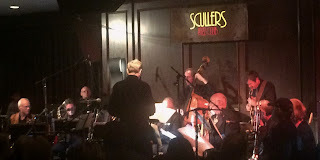 The Scullers concert featured works from the release of Deep River, by guitarist Richard Nelson and the Aardvark Jazz Orchestra. Included in the concert were two songs off of the six-movement suite: "Deep River Blues" and "Make Me A Pallet on Your Floor." The Deep River Suite melded traditional American folk and blues songs with a big band. Featuring two sublime vocalists, this level of color and clarity reminded me of Goodman's blend in his orchestra between the vocalist and horns. Clarinetist-bandleader Woody Herman led the popular "Herd" or "Thundering Herd," as he called his band. Herman played music that was considered experimental for its time; Herman even hired bebop trumpeter Dizzy Gillespie to write several arrangements for his band. Herman's band is often known for the classic Jimmy Giuffre song, "Four Brothers," which employed the solo and combined voices of Stan Getz, Zoot Sims, Herbie Steward and Serg Chaloff. This element of being experimental resonated with the compositions and arrangements of the Aardvark Jazz Orchestra. Utilizing unique textures, with flute, piccolo and clarinet, brass mutes and combinations of brass and woodwinds in counterpoint allowed the new pieces on Deep River to breathe and evoke the natural sense of Americana. Varied and rich in tradition, the Aardvark Jazz Orchestra cemented their own personal sound while still paying homage to the lineage of history's great big bands.